MANILA, Philippines — Phoenix Pulse’s gritty bunch worked hard and fought hard all throughout to upend reigning four-time champion San Miguel Beer, 96-93, and secure a breakthrough top finish in PBA Philippine Cup elimination round at the Panabo Multi-Purpose Complex in Panabo, Davao del Norte last night. 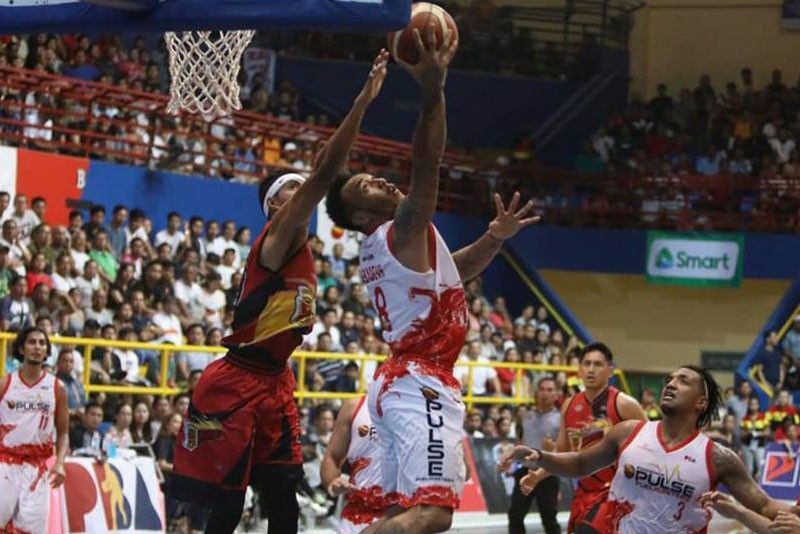 Calvin Abueva hustled for huge rebounds while Matthew Wright and Jason Perkins made the biggest baskets at endgame as the Fuel Masters pulled through in this crucial Petron Blaze road showdown and claimed top honors in the elims with a 9-2 win-loss record. As the elims topnotchers, the Fuel Masters will enjoy a twice-to-beat advantage versus the eighth seed in the quarterfinals. Meanwhile, San Miguel dropped out of the race for the Top Two in suffering a fourth loss against six wins. The Beermen are likely to settle for a spot in the pair of best-of-three quarters matchups. Barangay Ginebra and Magnolia fight to improve their spots behind the frontrunners while NLEX and Blackwater clash in a virtual do-or-die setto in an explosive double-header back at the Smart Araneta Coliseum tonight. The Road Warriors and the Elite take the floor first at 4:30 p.m. then the Gin Kings and the Hotshots set out for their keenly awaited showdown at 6:45 p.m.
Once LA Tenorio checks in for the game, the Ginebra playmaker will be hailed as the league’s new Iron Man, with a record 597 consecutive games played. In their last game against the Columbian Dyip, Tenorio tied Alvin Patrimonio’s record.